It’s a rare week that Dr. Joe Veres doesn’t get a phone call from a parent asking to bring his or her child to the Learning Lounge for homework help. 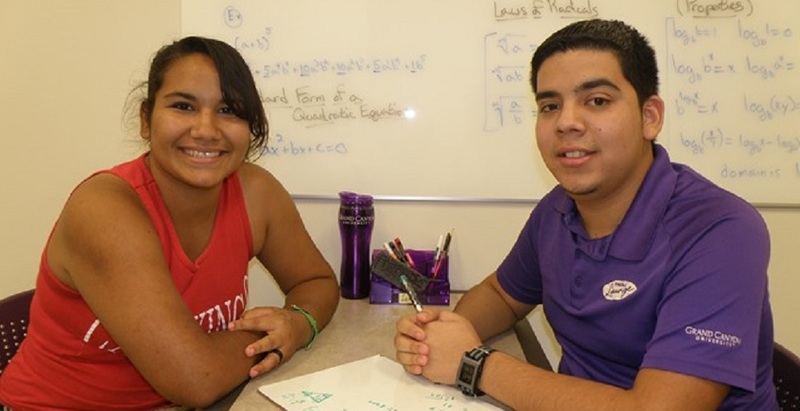 Grand Canyon University’s free, after-school tutoring program opened last September with a target audience of Alhambra High students struggling with math, reading, writing and AIMS test-preparation skills. 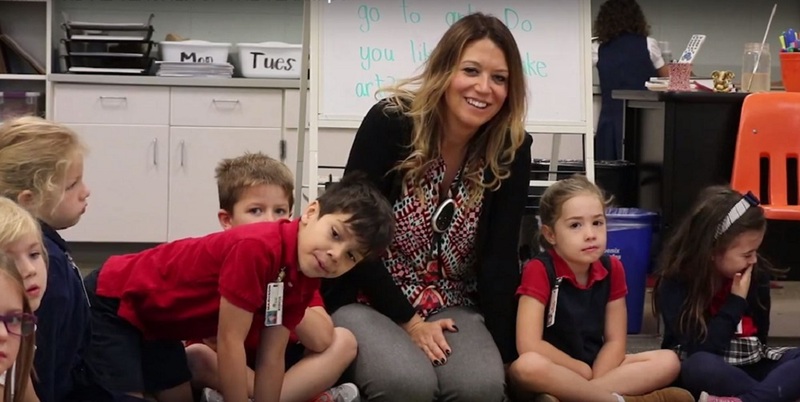 Since then, more than 325 students at Alhambra, Maryvale High and Bourgade Catholic High, all in Phoenix, and Faith Christian School in Mesa have received nearly 1,800 hours of tutoring. Of those Alhambra students, 22 passed the reading portion of the AIMS test, 11 passed the writing portion and nine passed the math portion. Now word of its success is getting out among parents of a younger set. “At least five kindergartners’ parents have called to see if they can bring them by,” said Veres, director of GCU’s K-12 outreach. No 5-year-olds have been accepted for tutoring just yet, but the Lounge, from its expansive digs in the University’s new classroom building in the heart of campus, is open for business this summer, and its 10 GCU student-tutors are busy with a new clientele. For the first time, GCU is offering free summer school classes on campus to students who qualify for free and reduced-cost lunch programs at Alhambra and other high schools. 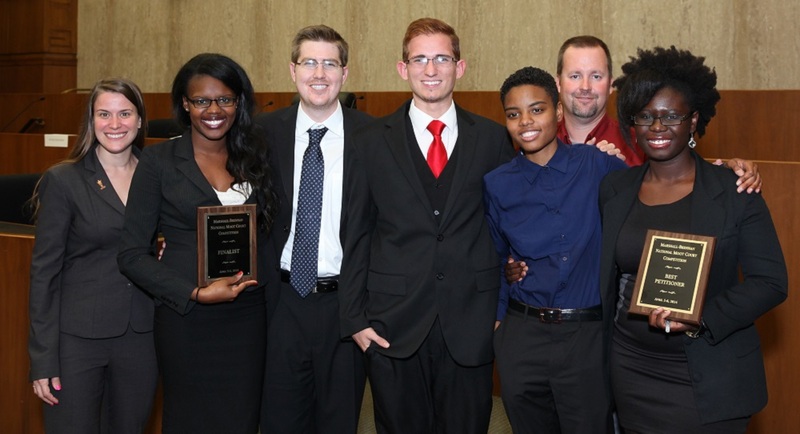 Sixty students from Alhambra, North, Metro Tech and St. Mary’s Catholic high schools are enrolled in four-credit college courses in psychology, public speaking or justice studies, which they attend three mornings a week for seven weeks. Classes began June 3 with a warm welcome, free bus passes and photo IDs from the Lounge. Throughout the week, students dropped in for help with their first psychology papers. For those who couldn’t afford to buy or rent the pricey justice studies textbook, copies were available for them to read there. Encouragement was offered to students facing the terror of public speaking. St. Mary’s Food Bank, which for months has been supplying nutritious lunches for students at the Lounge, has added breakfast for summer school. On the menu: everything from cinnamon waffles, wheat bagels, peanut butter and yogurt to turkey sandwiches, green salad, string cheese and oranges. Among the summer school students was Maribel Martinez, 16, an Alhambra junior in the justice studies class. She plans to go to college and would be the first in her family to do so. Last school year, she used the Lounge to bring her failing grades in biology and honors geometry to Bs and As, respectively. The Lounge is known for its cool, purple swag. It was something Veres and Arlin Guadian, program manager for K-12 outreach, ordered to coax Alhambra students through the door last fall. (Now they show up more for the camaraderie than the coffee mugs.) Recently, a new slogan — “Experience the Learn” — debuted on T-shirts and other Lounge merchandise, reflecting the program’s evolution. 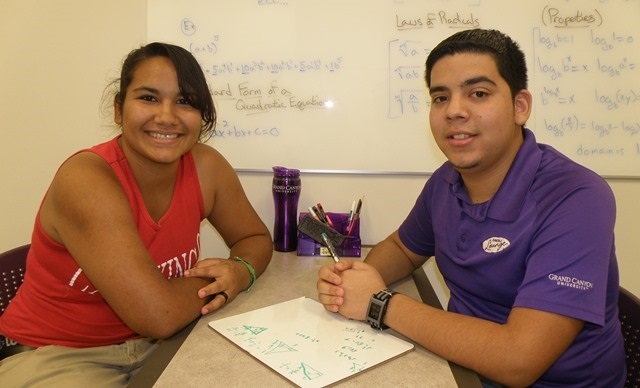 The feeling is mutual for math tutor Juan Villegas, a pre-pharmacy GCU sophomore who says he is “not a huge people person.” He has made many friends at the Lounge and used his math teaching as reinforcement in his own classes. But there’s something else. The anecdotes are endless: tests and classes passed, graduation requirements met, friendships made and, not surprisingly, the love of Jesus shared. Having graduated from Alhambra last month, Norberto Rayas has been hired as a Lounge tutor and will start classes at GCU in August. Rayas, who wants to be a high school math teacher, was an Alhambra tutor last semester at its feeder school, Andalucia Middle School, and found it gratifying. He already feels welcome in the Lounge and at GCU. One of the aspects of being a tutor that Cristina Hilt has most enjoyed is the spiritual component, from prayer time with the other tutors to the “God questions” from students. An experience with one student, who had multicolored hair and a “tough girl” vibe, has stayed with Hilt. The girl interrupted Hilt’s math lessons with questions about happiness, sharing her insecurities and her struggle with an eating disorder. Hilt responded with encouragement and hope. “There is one day in particular I will never forget while I was tutoring her,” said Hilt, who is scheduled to graduate in December with a psychology degree. “She randomly began talking about God. She asked if I believed, and why I believed what I did. … She explained how she knew there was a God but did not know much about Him. She also said she prays sometimes and feels better afterward. Leigh Critchley, executive director of GCU’s K-12 Pathways, said the Learning Lounge resonates with young people because it offers just the right mix of homework, support, food and friendship.